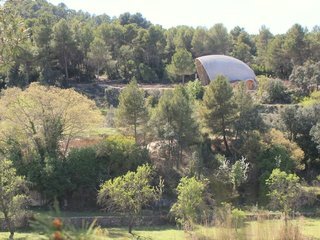 Nestled in a Mediterranean pine forest at the confluence of two rivers in Lledó, Spain, is El Caracol, a rustic-modern domed holiday house that from afar, looks like half of an eggshell that's balancing on a precipice. 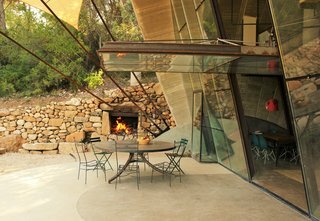 Inside, full-height windows lean outwards at an angle, giving the interiors a strong connection with the outdoors. The entrance to El Caracol consists of a timber door that stands under a wagon bow-shaped arc. 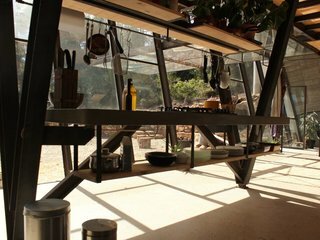 On the ground level is a spacious open-plan kitchen where a concrete worktop with a cooking range is held up by V-shaped steel supports. This makes the cooking surface look as if it's floating in the middle of the space. 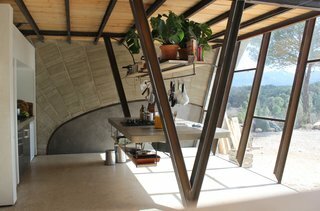 The kitchen flows into the dining, bar, and living areas, where the V-shaped steel supports demarcate the different functional zones. Additionally, they serve as shelving for books and plants. On the ground floor, there's also a pantry and a bathroom with a washing machine. On the upper level are three bedrooms, two of which have attached bathrooms. The central bedroom, which has two single beds, works well for children. 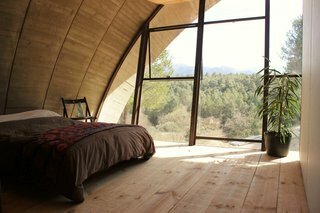 The master bedroom has a convex wall at the back of the bed and full glazing on one side, which presents views of the forest outside. Additional guests can be accommodated with a sofa bed in the living room. 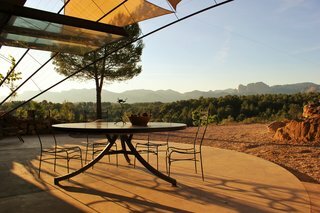 To enhance the feeling of outdoor living, the property has a shaded outdoor dining terrace and BBQ area, a hammock, and a small infinity pool that looks out to the forest and mountains beyond. 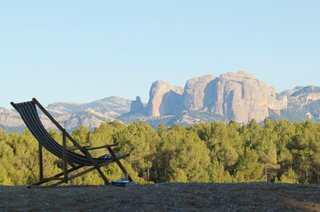 The three-bedroom house, which can sleep up to eight guests, is available for rent through CoolStays.